We wanted to share some news with you. This year we'll be providing some new resources and opportunities in the Dressage Anywhere Facebook Members Group to help you achieve your goals and further your dressage journey. More on that to come! We also want to let you now that from March 2018 some of our entry fees are increasing. Your membership and entries into our competitions and training classes continue to give you access to top judges, the opportunity to qualify for and participate in Online Championships, as well as access to all of your previous videos and scoresheets going back to when we ran our first online dressage competition in 2010! 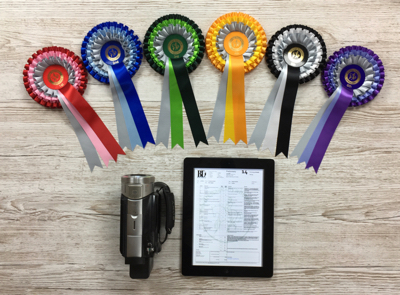 Whether you're a regular competition rider or just need some feedback on your training, Dressage Anywhere is the go to online dressage competition website. Professionally and fairly run by a team with more than 50 years collective experience in judging and running competitions. Don't forget you can choose any BD, FEI, BE, The Pony Club or RDA test in our training classes!